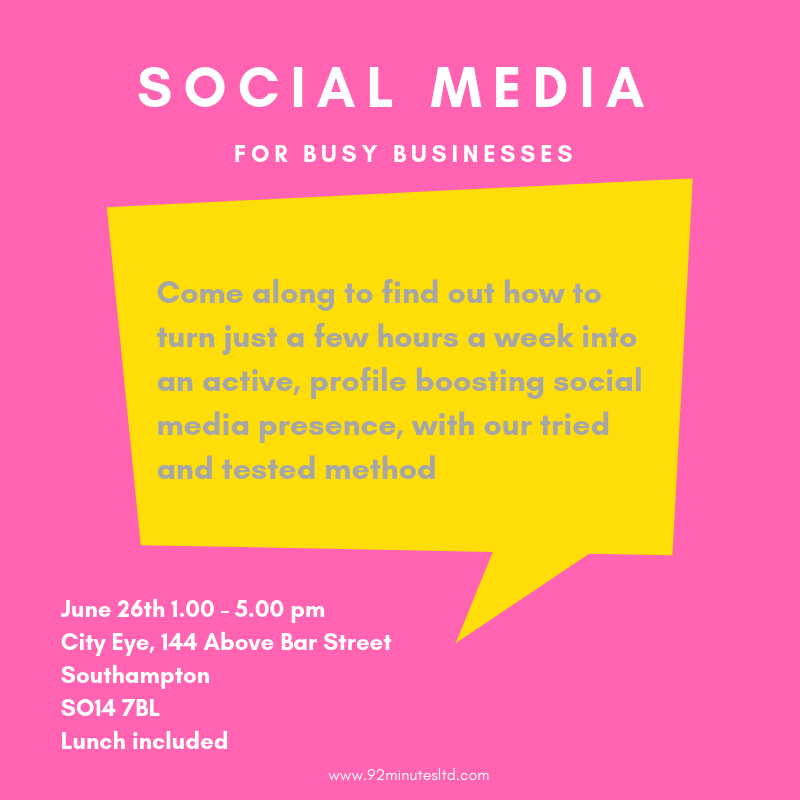 Join us at City Eye in the heart of Southampton’s Cultural Quarter in June to find out how to use just a few hours a week to build an active, authentic presence on social media. We’ll share the methods we use, and will discuss planning, creating and responding to social media. We’ll also discuss tools to help (including free ones) and we’re providing lunch, too. Right now, 92 Minutes is working on three impact and evaluation reports. These are reports on projects that have been delivered by charities. The reports might be for the funder, so they can see the impact of their support, or for future funders, to evidence the impact of the work, or just for the charity, so they can learn, see what worked, see what needs to change. I can honestly say it’s a wonderful thing to do. Every time a charity gets awarded a grant to do some work, they set out at the start what they said they would do, and what they thought this would achieve. On one hand, evaluation is about simple progress against those targets. There’s some crunching of numbers - how much did the project end up costing per head//per intervention. What is pretty tough to capture in hard numbers is the impact charity support has on individuals. In surveys completed by other people, things like ‘I finished my education’ or ‘I got housed’ (and so was no longer homeless - which can cost society £20,128 per rough sleeper per year) were reported. There *are* metrics around how much this stuff costs and doesn’t cost society, as the links above show - but for each, soft, breathing, feeling human, this is more than money. This is life. This is the difference between a life worth living and a life someone can’t bear to be in. These charities, who are not suicide prevention charities or homelessness charities, or crisis services, save lives by helping people make them bearable. It’s a genuine privilege to help them show this. There are, of course, questions about charities effectiveness and scandals. But we must not let this mask the huge importance of charities, particularly those on the ground, on the frontline, working directly with people in need. In the words of one person, they are ‘legends’. When all is dark outside, writing reports like these can be a ray of sunshine. It can be a day of sunshine. So full of possibility and optimism and hope - aren’t they? I just love them. I’m a resolution maker (and sometimes keeper) and love the space that a break gives me to really think about what it is I want to do, achieve, and how best to do it. Reflecting on what makes me happy helps me do more of it, and over the last year I’ve just loved how much fun I’ve had spending almost all of my work time writing, researching (ie, reading) and delving into data. So, this year I’ve resolved to do more of what I love and what I love most of all is words. They have power and beauty - used wisely, they do so much. They show us stories of who we could be, who others have been, they paint possibilities and I’m delighted to see amazing events like this Words Weekend taking shape - it’s in my diary already! Words can help your business, charity or organisation too. Summing up who you are, what you’re for and who you help is a great way to start being able to share that message and help the people who need you, find you. Or, perhaps, you need to showcase what you’ve done - increasingly funders are asking for evaluations of funded work before they will consider refunding. You might need someone to proofread a funding bid, or you might want to get going with social media. You might want to blog regularly on your website, to talk about the work you do. We can help get to the essence of what you’re doing or have done, and can present that in the way the people you want to talk to will hear best. By focusing on the words alone, we can think differently about your organisation. And if you’re doing good in the world, we’d love to help you shout about it. *Does anyone still say that? We love blue sky either which way! This was the sky over the New Forest, January 1st 2019. Isn’t it gorgeous? ** Picture taken near Highcliffe January 1st 2019 - if you carved it, I’ll credit you! Over the two days, the WEConnect Europe twitter account sent 219 tweets (an average of 14.6 an hour, or one every 4.11 minutes) and generated 40,857 impressions with an engagement rate of 2.7%. In a world where a ‘good’ engagement rate is considered to be 1.5% this is pretty nice stuff!